Madan Meena is a visual artist and researcher. He has worked extensively with artists and craftspersons from local communities in Rajasthan. His doctoral dissertation from University of Rajasthan was on the subject 'Art of the Meena Tribe'. He continues to work as a researcher with the women of the Meena tribe and has documented and exhibited their Mandana wall paintings. He has published two books on the subject, 'Joy of Creativity' and 'Nurturing Walls'. As a curator, he has designed an exhibition on brooms for the ‘Arna Jharna: The Desert Museum of Rajasthan’ of Rupayan Sansthan in Jodhpur. He has been regularly recording oral traditions among the Gurjar, Meena, Jogi, Mali, Merati and Jat communities. Madan has received a grant from Cambridge University under the World Oral Literature Project to document Tejaji Ballad sung in south-eastern Rajasthan. His interest in languages has led him to start his work on the secret language of the nomadic and de-notified tribes. For this he received fellowship from the Firebird Foundation for Anthropological Research, USA. As a state coordinator for Bhasha Research and Publication Centre, Baroda, he edited the Hindi and English volumes of Rajasthani languages under the People’s Linguistic Survey of India project. Madan has received Senior Research Fellowship from CCRT-Department of Culture, to extend his work in folklore studies in Marwar region. He is an Executive Member of Kota Heritage Society. As a visiting faculty he teaches traditional crafts at the Indian Institute of Crafts and Design-Jaipur. He currently works and lives in Kota-Rajasthan. The Jogi community are followers of the Nath sect. Thus, the community people are also referred to as Nath along with Jogi. Nath is a more generic term to represent the community which follows certain rules and regulations set by their guru. Jogi is also a colloquial term for Yogi—a man who religiously practises Yoga as a means of meditation and spiritual enlightenment. Gradually, as the groups of Nath expanded and divided into different sects, it led to the formation of a large community, and subsequently, it became a distinct caste. But in this article, I would prefer to refer to them as a community. In general, Jogis are identified as world-renouncers having supernatural powers. Many among them live the lives of ascetics. The religion and philosophy as set out by different sects form the main basis of their practices and life discourse. Many historical and religious texts date the emergence of the Nath sect to around the sixth century CE. Its influence has been reflected in Shaivism, Vaishnavism, Buddhism and Jainism. The sect has influenced the cultural and philosophical diaspora of the Indian subcontinent to a large extent. Jogi saints and their philosophy of renunciation have influenced many rulers in Rajasthan and the general folk. Thus, we find their presence in the folklore of Rajasthan. The many Shiva temples and Nath mathas (monasteries), spread across Rajasthan and other parts of India, illustrate the expanse of this sect. 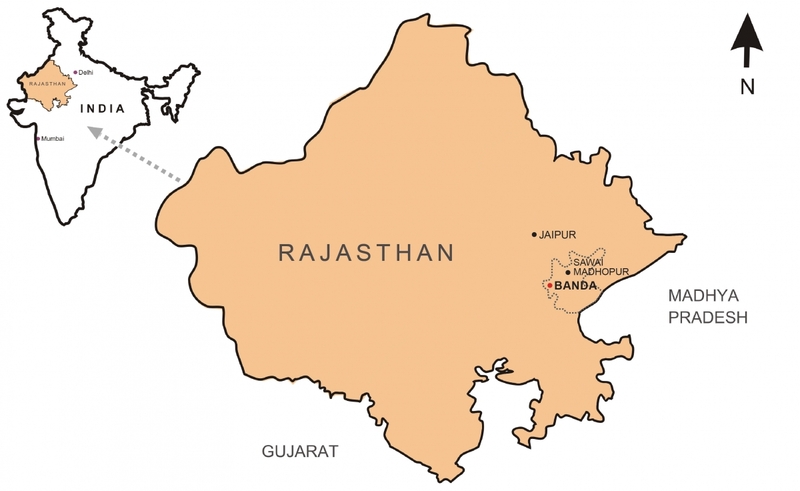 In Rajasthan itself, the presence of some 326 mathas in Bikaner, Ajmer, Kishangarh, Kota, Jaipur, Jaisalmer and Udaipur regions has been mentioned (Shukla 2011:11). Belief in the Nath philosophy is widespread among the rural folk. Thus they invite the Jogi musicians on the occasion of night jagarans (night awakenings) to sing ballads of religious and moral teachings. Shiva has been assigned the position of supreme deity in the Nath sect. The community identifies itself through the explanation of the word Nath—‘Na’ represents Brahma who is efficient and knowledgeable in attaining salvation while ‘th’ refers to beginning of the power of ignorance. Thus, Nath initiates the path of salvation by adjournment of the ignorance (Upadhyaya 1965:3). Different yogic practices have been marked for the attainment of salvation, whose origins are drawn from the relationship of Shiva (god) and Shakti (goddess). Within the Nath sect, there are many sub-sects, depending upon their philosophies and teachings. In the Nath sect, the presence of guru (teacher) is very much evident, who guides his disciples and followers. The monastery is headed by the superior guru and after his death, transferred to his disciples based on their seniority. Shiva is the highest guru followed by everyone. Some of the important saints and gurus of the sect are Guru Gorakh Nath, Gauraksh Nath, Jalandhar Nath, Matsyendra Nath, Nagarjun, among others. In the Raja-Bharthari-Ki-Katha, Guru Gorakh Nath, the guru of Bharthari, leads him to the path of salvation. He guides him to practice various yogic deeds, motivating him to leave his throne and to become an ascetic. Guru Gorakh Nath’s period is assumed to be in 10th century A.D. It was during his time that the Nath sect flourished in different parts of undivided India up to Afghanistan. Tantric practices have remained an important part of the Nath sect, especially regarding the awakening of the Kundalini (a form of primal energy said to be located at the base of the spine). For this, various Yoga practices are used. One such important one is Hath-Yog. ‘Hat’ represents sun while ‘th’ represents moon. Shiva is considered the preceptor of Hath Yog. Nath literature is available in Sanskrit, Hindi, Rajasthani and Braj languages. Many of its teachings, ballads, tales, bhajans and couplets still exist orally as many of the Jogis are illiterate. These are transferred from one generation to another through guru-sishya parampara (traditional custom of learning verbally under the teacher’s guidance). Broadly two kinds of Naths exist—the renouncers (naga Naths) and the householders. In Pushkar, different temples exist for both of them and they don’t mix with each other. The difference among them is that renouncers are secretive of their practices, they don’t sing hymns, do not talk about doctrines, and are mostly intoxicated. Whereas, the householders live a family life and are concerned with the worldly matters. But they are the ones who are the musicians and perpetuate Nath philosophy among the common people. The Jogi, who have been documented in the village Banda (in Sawai Madhopur district), are householders, live alongside the other castes of Meena tribe—potters and barbers. In total, there are 250 households of Jogi indicating a population of around one thousand five hundred. Apart from this, the householder Jogi are also spread over nearby villages like Boli, Sirohi Jhonpada, Bhagwatgarh, Barwada, Lorwada-Jhatwada, Kondadi, Dwada, Gonjiyari, among others that fall in the Sawai Madhopur district. The Jogi of Banda belong to the Pav Panthi sect (of Jaipur), out of the twelve different sects of Jogi. They have migrated from Niwai, seventy-five kilometres south of Jaipur. In Alwar, an entirely a different caste of Jogi exists comprising of Meo or converted Muslims. The repertoire of these Jogis’ consists of the Hindu songs patronized by the Hindu castes in the region, but their style of singing is entirely different. Instead of the stringed instrument like sarangi (string instrument), they use single string bhapang (percussion instrument made of hollow shell of dry pumpkin mounted with goat-skin). They also sing life stories of Rama and Hanuman, unlike the Hindu Jogi. During the British period, the Jogi community was listed under the Criminal Tribe Act (CTA) of 1871. Unaware of the background of the Jogi and their nomadic way of life, the British suspected them as being messengers of their enemies. Jogi always faced fear of search and arrest, if anyone of them was found outside the prescribed area. In Rajasthan, Jogi Kanphata (pierced ears) and Jogi Kalbelia were listed under the CTA (Government of Rajasthan official website). They were de-notified after five years of independence on August 31, 1952. Presently the community falls under the category of Other Backward Class (OBC). Their main profession is to earn from the musical performances. Few have small plots of land for agriculture, while most of them work as labourers in mines, or graze cattle and take care of the shrines of local deities in the villages. In Banda village, there are some two dozen groups of musicians, while the rest earn from agriculture and work in the mines. Their house dwellings are kutchha mud constructed hutments and they live in a separate colony or locality, mostly on the periphery of the village (see Figure 1). The community falls in the category of professional musicians and is patronized by the local rural communities, who invite them during the auspicious Hindu months for night jagarans (night awakenings). Jogi are worshippers of Shiva, who is considered as Adi God (primitive god). Thus, the life of Shiva finds its place in their repertoire. One of the important ballads that they sing around Shiva’s life is Shiv-Parbati Ka Byavla illustrating the challenges of marriage of Parbati with Shiva. Another ballad related to Shiva’s life is Shivji Mahrya. Similarly, Narasimha-ki-Katha is also sung by them. Narasimha is an incarnation of Vishnu, who is part-lion and part-man. After Shiva, the tales of saints or the Rajput warriors and rulers, who renounced the world and had become ascetics, find mention in these ballads. Some of the ballads which are sung around these saintly figures are Raja-Bharthari-ki-Katha and Raja Gopi Chand-ki-Katha. Bharthari and Raja Gopichand are said to be related as uncle-nephew. Jogi also sing tales of generous dacoits, one such being Dukha Dahadi-ki-Katha. A story of two brothers called Roop Basant-ki-Katha is also sung by them. Some of the Jogi also sing Baba Ramdev-ki-Katha (also known as Ramdev Pir, a Hindu folk deity of western Rajasthan who was a ruler during the fourteenth century A.D.), and tales of their holy saints like Baba Guru Gorakh Nath, Baba Jalandar Nath, and others. Shiv-Parbati Ka Byavla is the longest ballad that takes about three to four nights to complete. The rest could be completed within one night. Compositions of these ballads are in the form of prose and verses in couplets of four to six lines. First the prose parts are narrated by the lead singer while the verses are sung by the group whose main line is initiated by the lead singer. Proses are explanatory of what is sung in the verse. The story progresses likewise with the help of supporting singers who either make exclamatory sounds in agreement or repeat the lines sung by the lead singer. In between the sessions, the musicians take rest, smoke bidi, chew tobacco and drink tea served by the patrons. The group of Jogi musicians consists of six to eight members who sit in a circle and sing in tune to the accompanist instruments like—pungi or mashak (wind instrument), which is an indigenous bagpipe made of goat skin. Sarangi or jogiya sarangi is a string instrument generally played by the lead singer. Khanjari (percussion ), set of manjira (metallic clappers) and sometimes dholak and harmoniums are played by the accompanist singers. In this particular recording of Raja Bharthari-ki-Katha, dholak and harmonium have been avoided as those are not traditional musical instruments of Jogi. A long tong shaped chimta is also used and clapping is common when the performance reaches its peak. Presently, very few aged musicians among the Jogi are left who know how to sing complete ballads, generally the young sing only popular parts. Many have switched from the traditional pungi to harmonium. The young generation of musicians largely use sound systems which has disturbed their natural balance between singing and the original music. Some have even improvised their music to the tune of Bollywood songs to which the patrons dance. This is an unusual degradation in recent times. Under this project it has been discovered that the original music and repertoire of the Jogi is limited to few aged musicians. Antar Jogi, the leading singer of Bharthari-ki-Katha, is one such person to be appreciated. His memory, voice and singing style, all are brilliant. For this research, one of the important ballads about the life of Raja Bharthari—sung by the Jogi musicians—has been documented. Bharthari ruled over Ujjain and later renounced the world after discovering that his wife loved someone else and realizing that the world consists of worldly pleasures that are temporary. He became a yogi after encountering Baba Gorakh Nath and abdicated his throne to his younger brother Vikramaditya. The ballad took one extended night to complete the recording. The total recording is around five hours recorded in seven parts. The recording took place in village Banda of Sawai Madhopur district (refer to Figure 3) of eastern Rajasthan during a night jagaran at the shrine of Amliwala Bhaironjee (see Figure 4 [R]).